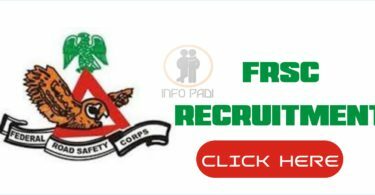 Basic Registry and Information System in Nigeria (BRISIN) Recruitment. This contains all you need to know about applying successfully and also the closing date for the BRISIN recruitment. The recruitment will be published on e-transact by next week, and the application portal will be opened for about six weeks. Please note that we will be guiding all our readers on how to successfully access and fill the form through the application portal. 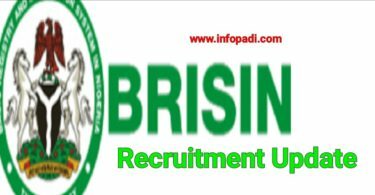 The 5000 persons that will be recruited now does not mark the end of BRISIN recruitment. This is just a pilot phase that will commence from the FCT. Where they will train those to work in other states. The aim of this recruitment is to reduce the risk of Nigerians that engage in illegal migration in search of greener pastures. This will create jobs and also a multiplying effect of job creation in the nation. Not less than 22 years old and not more than 40 years old by 31st December 2018. Note: Candidates must apply only ONCE as multiple application will not be entertained. i will want to be notify if this great opportunity is release via my email. Federal govt. Should reconsider those good citizens in their 40s, who had been laid off from their jobs with no hope of surviving. These people re silently dying, some with families to cater for, while others no money to start a family. I am also a victim. Am interested, pls notify me. As a family man, I need a sustainable job to take care of my family pls, notify me through my mail when the recruitment is on. Kindly subscribe to this site using your email. Subscription is free. Most Nigerians within the ages of 36 to 50 years Educated/skilled professionals also need government support programs to meet up with family necessities. I would like to be informed when registeration commences.